Felix Adler (August 13, 1851 – April 24, 1933) was a Jewish religious humanist thinker, educator, and social reformer who founded the Ethical Culture movement. Adler developed his thoughts based upon Kantian ethics and American transcendentalism developed by Ralph Waldo Emerson and Henry David Thoreau. Adler found ethics as the common ground for and at the root of diverse religions, spiritual doctrines, and humanist thoughts. While Adler understood the values of religious teachings, he found adherence to dogmas and sectarianism non-essential to the teachings of founders and leaders of religions such as Jesus, Jewish prophets, Buddha, and others. Adler, thus, developed a non-theistic religious humanism, and initiated a number of social reforms. He was particularly concerned with education and social conditions of the poor and underrepresented classes of people. He established the Ethical Culture Society which initiated the Visiting Nurse Service, the first free kindergarten for workers, and a number of other projects and programs. Adler also served on the Civil Liberties Bureau, which later became the American Civil Liberties Bureau and then the American Civil Liberties Union (ACLU). He was born in Alzey, Germany, the son of a rabbi, Samuel Adler. The family immigrated to the United States from Germany when Felix was six years of age on the occasion of his father's receiving an appointment as head rabbi at Temple Emanu-El in New York. Felix Adler graduated from Columbia University in 1870, and moved to Germany where he received a doctorate from Heidelberg University. Starting in 1874, he spent two years at Cornell University in the Department of History as Professor of Oriental Languages and Hebrew before his "dangerous attitude" caused him to leave. He returned to New York and preached some sermons at the Temple Emanu-El in New York City where his father was still the head rabbi. He was noted for omitting reference to God in any of his Sermons, an unorthodox approach which made him suspect by many in the New York Jewish community and ended any thought of him succeeding his father. Then, at the age of twenty-four, Adler founded the New York Society for Ethical Culture in 1876. His sermon on May 15, 1876, is considered to be the date on which the religion he called Ethical Culture was established. His lectures before this society on Sundays in New York were well known and attended, and were routinely reported on in the New York Times. Adler's belief in deed rather than creed led his society to foster two innovative projects: Visiting Nursing and Free Kindergarten. In 1877, the New York Society of Ethical Culture sponsored Visiting Nursing, where nurses, and doctors if necessary, visited the homebound sick in poor districts. This service was eventually incorporated into the New York City health system. A year later, in 1878, a Free Kindergarten was established as a tuition-free school for working people's children. (Ironically, what began as a free school for the benefit of the poor has become, according to a 2007 Forbes article, one of the most expensive and exclusive preschools in the United States, with tuition in 2007 at $30,440 USD per year. Despite sharing a building on Central Park West in New York City, the school is no longer affiliated with the Ethical Culture Society.) It evolved over time into the Ethical Culture Fieldston School. In 1902, Adler was given the chair of political and social ethics at Columbia University, which he held until his death in 1933. In 1928, Adler became president of the Eastern division of the American Philosophical Association. Adler became the founding chairman of the National Child Labor Committee in 1904. Lewis Hine became the committee's photographer in 1908. In 1917, Adler served on the Civil Liberties Bureau, which later became the American Civil Liberties Bureau and then the American Civil Liberties Union (ACLU). He also served on the first Executive Board of the National Urban League. Felix Adler died on April 24, 1933 at the age of 81, in New York City. As a member of the New York State Tenement House Commission, Adler was concerned not only with overcrowding but also by the increase in contagious disease caused by overcrowding. Though not a proponent of free public housing, Adler spoke out about tenant reform and the rents which he considered exorbitant. Jacob Riis wrote that Adler had "clear incisive questions that went through all subterfuges to the root of things." In 1885, Adler and others created the Tenement House Building Company in order to build "model" tenements that rented for $8–$14/month. By 1887 six model buildings had actually been erected on the Lower East Side of Manhattan for the sum of $155,000. Even though critics favored restrictive legislation for improving tenement living, the model tenement was a progressive step forward. By the late 1890s, with the increase in international conflicts, Adler switched his concern from domestic issues to the question of American foreign policy. While some contemporaries viewed the 1898 Spanish American War as an act to liberate the Cubans from Spanish rule, others perceived the U.S. victories in the Caribbean and the Philippines as the beginning of an expansionist empire. Adler at first supported the war but later expressed anxiety about American sovereignty over the Philippines and Puerto Rico, concluding that an imperialistic rather than a democratic goal was guiding U.S. foreign policy. Ethical Culture affirms "the supreme worth of the person" and Adler superimposed this tenet on international relations, believing that no single group could lay claim to superior institutions and lifestyle. Unlike many of his contemporaries during World War I, Adler didn't feel that the defeat of Germany alone would make the world safe for democracy. Peace could only be achieved, he thought, if the representative democratic governments remained non-imperialistic and if the arms race was curbed. As a result, Adler opposed the Treaty of Versailles and the League of Nations. As an alternative, Adler proposed a "Parliament of Parliaments" elected by the legislative bodies of the different nations and filled with different classes of people, rather than special interests, so that common and not national differences would prevail. While the Ethical Culture movement which Adler founded was open to people of diverse beliefs, Adler himself developed and promoted his own vision of an essentially Kantian moral philosophy which prized public work and the use of reason to develop ultimate ethical standards. Although Adler recognized the values of religious and spiritual teachings, he considered adherence to religious dogmas and sectarian perspectives harmful to and non-essential to the essence of religiosity, which Jesus, Jewish prophets, Buddha, and other religious leaders commonly exhibited in their deeds, teachings, and lives. Adler argued that people's interpretations of religions were to be respected as religious things in themselves. Adler defined religion not by creed, prayer, and dogma. Among his various formulations of religion, in Creed and Deed, he recognized the feeling of "sublime" as the "root of the religious sentiment" which is "awakened by the mysterious:"
The question returns to us, What is religion? It is not creed; it is not sacrifice; it is not prayer; it is not covered by the dogmas of any special form of belief; it has acted as a controlling force in all ages, in every zone, among all manner of men. Are we devoid of it? Of it? Of what? The feeling which the presence of the Infinite in the thoughts of man awakens within him, is called, the feeling of the sublime. The feeling of the sublime is the root of the religious sentiment. It assumes various phases, and to these correspond the various religions…. The feeling of the sublime is awakened by the mysterious. Adler found ethical principles to be the foundation of and the universal element in religious thoughts, and developed non-theistic (in the traditional sense) religious humanism as the universal foundation for social reform. Adler published such works as Creed and Deed (1878), Moral Instruction of Children (1892), Life and Destiny (1905), The Religion of Duty (1906), Essentials of Spirituality (1908), An Ethical Philosophy of Life (1918), and The Reconstruction of the Spiritual Ideal (1925). He made use of the ideas from the religion to which he was born, and the philosophies of Kant and Ralph Waldo Emerson, mixed with certain socialistic ideas of his time. Well known as a lecturer and writer, Adler served as rector for the Ethical Culture School until his death in 1933. Throughout his life he always looked beyond the immediate concerns of family, labor, and race to the long-term challenge of reconstructing institutions like schools and government to promote greater justice in human relations. Within Adler's ethical philosophy, cooperation rather than competition remained the higher social value. The Reconstruction of the Spiritual Ideal (Hibbert lectures at Oxford, 1923). ↑ Felix Adler, Creed and Deed: A Series of Discourses (New York: Pub. for the Society for Ethical Culture, 1880), 38-39. Retrieved October 18, 2013. All links retrieved April 4, 2017. The Ethical Significance of Easter, 1915. 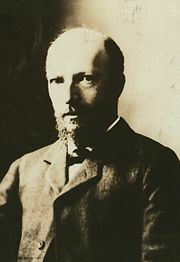 The New York Times archives contain many reports on addresses given by Felix Adler, as well as numerous letters and articles by or about Adler. Felix Adler, Transcendentalist.com. Links to various sources. The American Ethical Union at www.aeu.org is the website of the American Ethical Union, umbrella organization for the various Ethical Societies in the United States. Ethical Culture Fieldston School at www.ecfs.org is the website of the Ethical Culture Fieldston School that contains much information, some of which is incorporated into this article. Home: New York Society for Ethical Culture at www.nysec.org is the website of the New York Society for Ethical Culture, the original Ethical Society founded by Adler. Ethical Humanist Society of Chicago at www.ethicalhuman.org is the website of the Ethical Humanist Society of Chicago, established 1882 and the second Ethical Society founded by Adler. History of "Felix Adler (professor)"
This article incorporates text from 1914 The New Student's Reference Work, a document now in the public domain. This page was last modified on 4 April 2017, at 20:58.